The tell-tale signs are all around you: the beards, the barn, the mason jars-as-glasses. 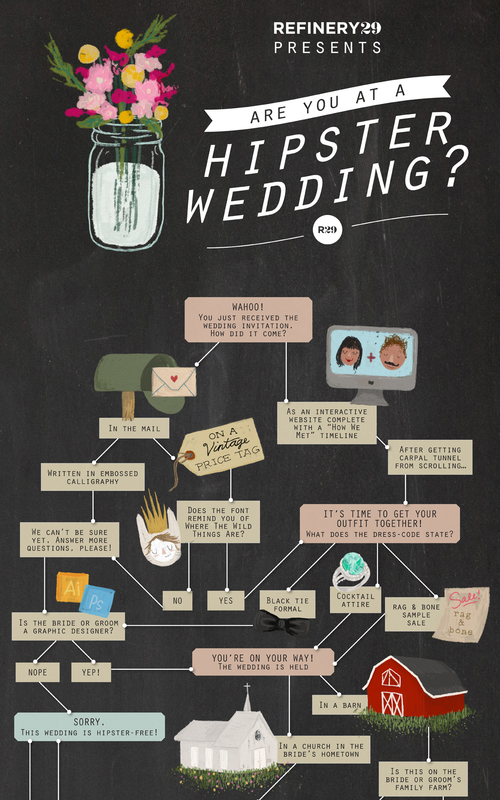 You have an inkling that you're in the presence of a hipster bride and groom -- but how can you be sure that you're really at a hipster wedding? Thanks to Refinery29's handy infographic, you'll never have to wonder again. Get a sneak peek at the infographic below, then click over to Refinery29 to see the rest! Click through the slideshow below to check out a day in the life of a hipster bride. Cover photo by Gabriella Giannini.